This book is not good at all and it’s the worst book I’ve read. Of course I am lying. This book really catch my attention since last year when I got an eARC from NetGalley. But the second time I re-read this book, I can still feel the goosebumps, heartaches and I appreciated it even more. I just love this book in an unexplainable way. It’s like when you read it, you’ll think that it is okay but as you continue you’ll start asking questions and then when you’re close to the highlight of the story you’ll feel all the emotions, the heartaches, regrets, happy memories and so on. It is worth a person’s time for reading and money for buying it. I had no regrets spending money for this beautiful book. To be honest I even tried listening to audiobooks over YouTube and seriously it makes me want to read it again. I won’t get tired re-reading it. For the first readers, maybe you’ll think this book is boring but when you look at the other side of it, if you tried your best to pursue reading you’ll find out that this book is such a perfection. It is just made in a first person’s point of view, it has the poetic way and her words will get stuck in your head. I’m struggling writing this review because I seriously don’t know how my thoughts will be put in to words and I don’t know what are the exact words to describe this book. We are the Sinclair. (love that line). This book revolves around the Sinclair family who loves to go to the island every summer. Cady, Mirren and Johnny are the cousins while Gat is the nephew of their Aunt’s boyfriend but four of them are called “the liars”. Each of them lied, each of them have secrets. Cadence (Cady) was involved in an accident that caused her to have a partial amnesia. She went back to the Beechwood Island to try to remember what occurred two summers ago. Her own family refused to tell her what happened so she was trying her best to figure out on her own. What she discovered was really tear-jerking. I’ll stop there, I might end up being a spoiler but to the readers who haven’t read the book yet, I suggest you try. I kept telling my local friends to try and read it too though. And to those who tried I’m just so happy with their feedbacks I can’t help smiling and fangirling over and over again. 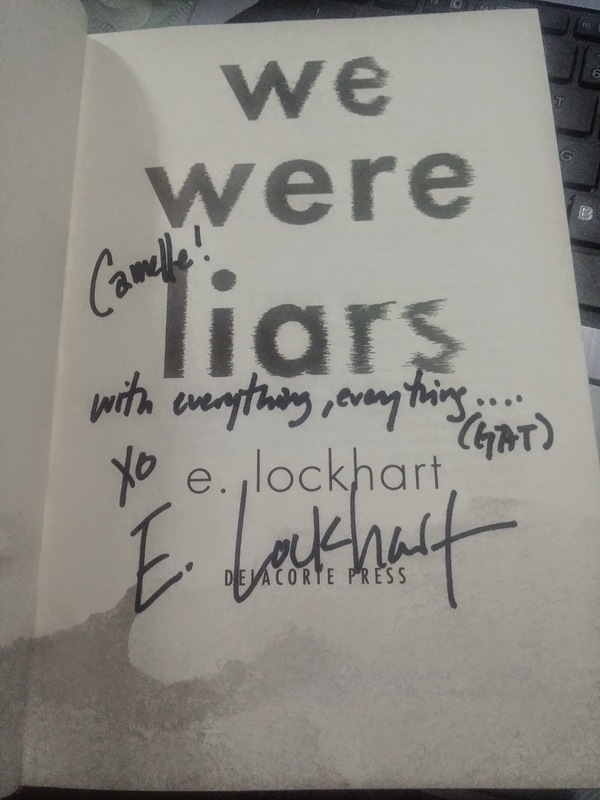 I want to take this opportunity too to say that I met E.Lockhart in person and got my book signed. She was really lovely and friendly. 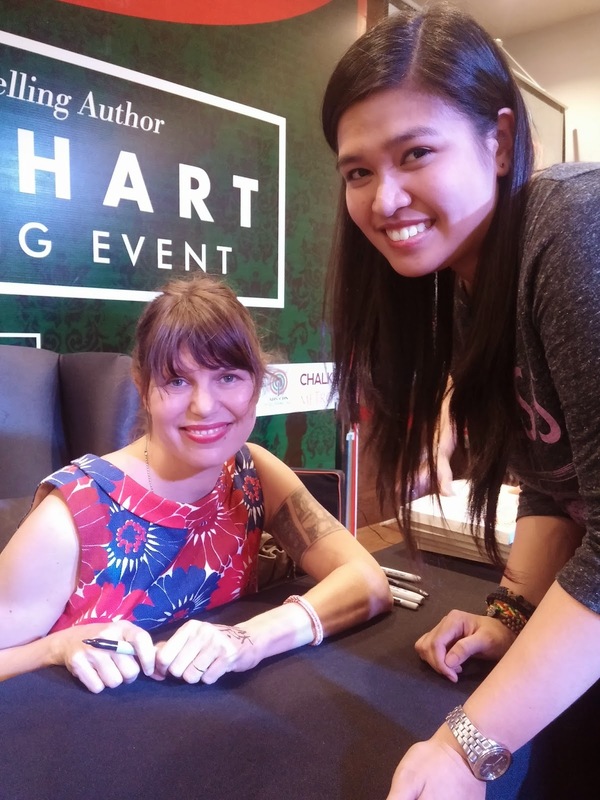 I like the way she talked and I love the way she explains how she wrote her book and what inspired her. What more can I say? A perfect book comes from a perfect type of author. "Silence is a protective coating over pain." 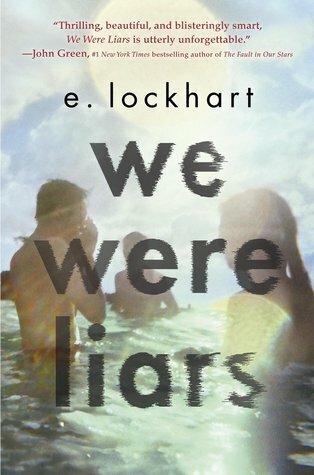 E. Lockhart is the author of We Were Liars, The Disreputable History of Frankie Landau-Banks, The Boyfriend List and several other novels.